In the past month we’ve spent some time reporting on the current progress being made to regulate online poker in the USA. 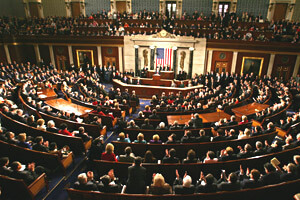 There have been a number of US states considering passing legislation to legalize online poker in 2012. This has put some pressure to pass a federal poker bill that would legalize and regulate online poker across the nation. Based on recent reports I’ve read it has become clear that a federal poker bill is in the works. Senator Kyl and Senator Reid stated this past week that the two of them are currently working on a federal poker bill. Senator Kyl has opposed online gambling a lot in the past, but he has now changed his stance on online poker. With several states taking it upon themselves to legalize online poker, Senator Kyl changed his stance on online poker, but he still wants to draft new legislation to prevent other forms of online gambling. Kyl and Reid haven’t stated when they will try to pass new legislation through congress, but a recent interview with PPA executive director John Pappas said it could happen in 2012. John Pappas thinks there is a 50% – 60% chance that a federal poker bill is passed through congress in 2012, but he stressed that the new legislation needs to be written up now before congress starts to focus explicitly on the 2012 US elections. Passing the federal poker bill through congress doesn’t sounds like it will be a problem, as the bill will most likely be attached to another bill as a rider. Pappas also stated in a recent interview that if congress passed a federal poker bill it would only take about six months until the 1st licensed poker rooms were operating in the USA. Once legislation is passed federally gambling companies will be trying to release their product to the market as soon as possible and Pappas thinks the process would happen very quickly. By passing a federal poker bill there would be no issue with offering interstate poker games. There may not be an issue right now based on a statement by the US DoJ at the end of 2011 relating to the US Wire Act, but by passing federal legislation there will be no problem with interstate poker. US states will also be able to opt out from allowing their state to be included in federal regulation. There is no word on what US states will want to opt out from federal regulation, but I’m sure in the future most US states will be on board. In my opinion federal regulation would be much better for poker players in the USA, as there would be no liquidity issues and it could also allow players to play with poker players in other regulated online poker markets in the future.